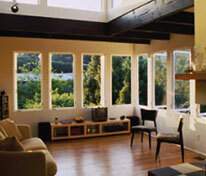 3M Night Vision window film offers protection from the sun's damaging UV rays and controls heat and glare, while increasing comfort by inviting warm, natural light into your home. Unlike most high-performance sun control films, Night Vision film has a low interior reflectivity that leaves your view clearer than ever before, especially at night. That powerful combination makes Night Vision film a welcome addition in a variety of residential applications. You shouldn't have to live with faded carpeting, paneling, desks, drapes and upholstered furniture. 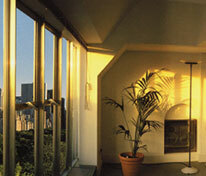 Reducing fading is an important reason that interior designers often recommend 3M Window Films. Night Vision window film blocks up to 99% of the sun's ultraviolet rays and rejects up to 71% of solar heat, so you don’t need to pull your shades and drawing blinds to keep your home comfortable. 3M developed Night Vision film with a proprietary technology that maximizes sun control capabilities while toning down the interior reflectivity to allow for clear, unobstructed views. 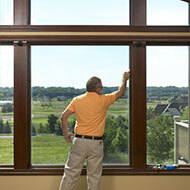 This technology is not available with many sun control window films. The same technology also makes the films colorstable, significantly reducing the fading that often happens over time with dyed films.  Depending upon the location of your windows, your authorized 3M window film dealer can help determine which shade is right for your application. 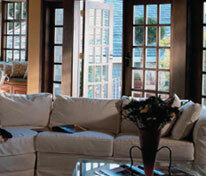 As with all 3M window films, Night Vision film carries a limited lifetime warranty. 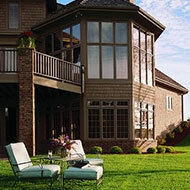 The low interior reflectivity of 3M Night Vision window film leaves your view clearer - especially at night.